This metal sign features the classic Firestone Neon Style look of those original vintage Firestone signs. 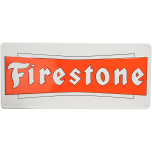 Nostalgic tin signs make outstanding gifts for collectors and enthusiasts. 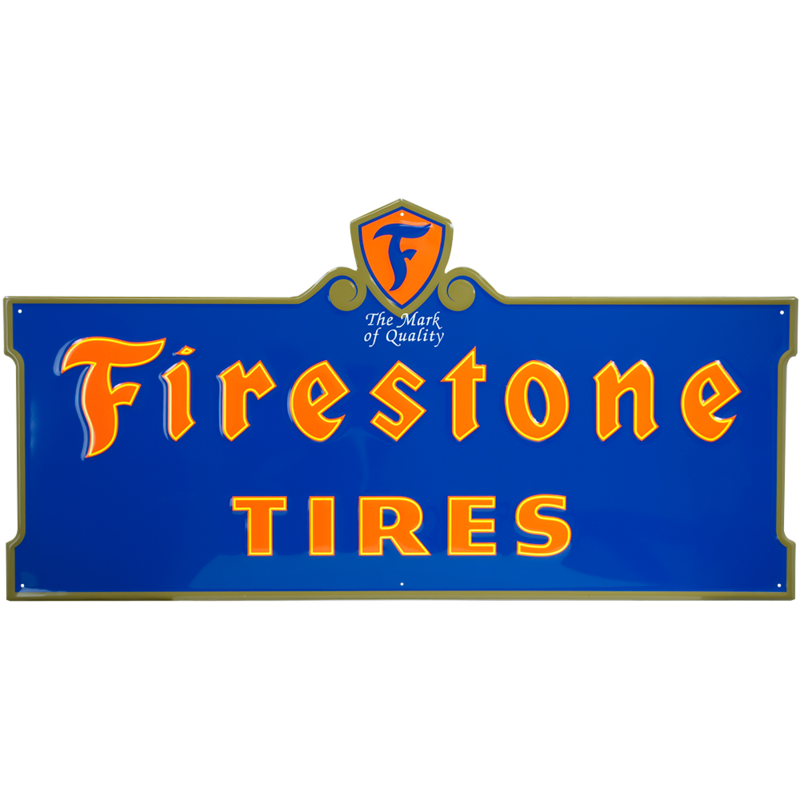 This vintage Firestone sign is a metal recreation of a neon sign used in the 1920’s and 1930's, and it's just right for your shop. 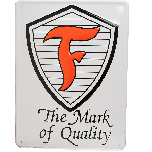 The sign is die cut and embossed on 26-gauge aluminum, and features mounting holes for easy hanging. The screen print finish is durable and it provides a slick high quality look and feel. The sign measures 28 inches tall and 48 inches wide.